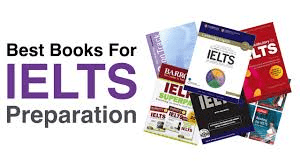 This topic contains 0 replies, has 1 voice, and was last updated by IELTS Online Practice 6 months, 3 weeks ago. 4 bar graphs showing the performance of male and female students from Parston school and the national average for 5 skills (Maths, arts, humanities,…). as countries develps, people tend to buy more and more car. Do the advantages for the individual outweigh the disadvantages for the environment? Part 1: show ID, tell your full name, where do you live (house/apartment?) do you like your neighborhood? Which room do you like most in you home? why? Talk about a party. Where it was? What happened there to make you remember of it? Who are you with? Part 3: talk about leisure. What people like to do ? Where do they go? Balance between work and leisure. Is it hard to find that balance? Why?